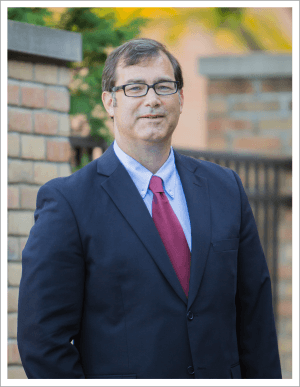 Attorney Kenneth Wrobel Jr. has been practicing law in Metro Detroit for more than 20 years. He is experienced in many areas, including Family Practice, Bankruptcy, Business Law, Real Estate, and Traffic and Criminal Misdemeanor cases. Respected in his profession and the community, Ken understands what you need. He is dedicated to providing honest, friendly, and strong representation with accurate results. Ken will work with you to determine the best solution for your situation. Whether it's a small claims case or a case to stand trial, he has the knowledge and persistence to tackle any obstacle. If you need the legal advice and representation of a trustworthy attorney who knows the legal system, please call or visit our office which is conveniently located in Downtown Birmingham. Ken will be committed to your case, and aggressively fight for the rights you deserve. Disclaimer: This is an advertisement. The materials on this web site have been prepared by the Wrobel Law Firm, P.C. for informational purposes only and should not be considered legal advice. This information is not intended to create, and receipt of it does not constitute, an attorney/client relationship. Internet users and online readers should not act upon this information without seeking professional counsel. Our friendly staff serves clients in Michigan including the Detroit Metro area Ann Arbor. We are close to Southfield, Troy, West Bloomfield, Birmingham, Novi, Rochester Hills, Auburn Hills, Lake Orion and Oxford in Oakland County; Warren, Sterling Heights, and Mount Clemens in Macomb County.